And it’s not just about the number of unused days. Vacation is essential. Taking a vacation is proven to strengthen personal relationships, inspire creative thinking, improve professional performance and promote better health. We could all use more of that! The secret to accomplishing your travel goal this year is simple. Planning. Planning is the most vital action in making getaway feasible and, according to Project: Time Off, a bulk (52%) of workers who set aside time yearly to prepare for traveling take all their time off, compared to simply 40 percent of those who don’t take the time to plan. But you don’t have to be a “planner” to make sure you take a vacation. With a little preparation, you can reclaim your vacation days and be one step closer to the trip of your dreams. As a full-service travel agency, Colesville Travel can help you plan all the details and ensure the stress-free vacation you deserve. 1. Determine exactly how many vacation days you have and when you can take them. 2. Start dreaming about your ideal destination. 3. Contact us to start the planning process. We’ll guide you every step of the way and vacation time will be here before you know it. 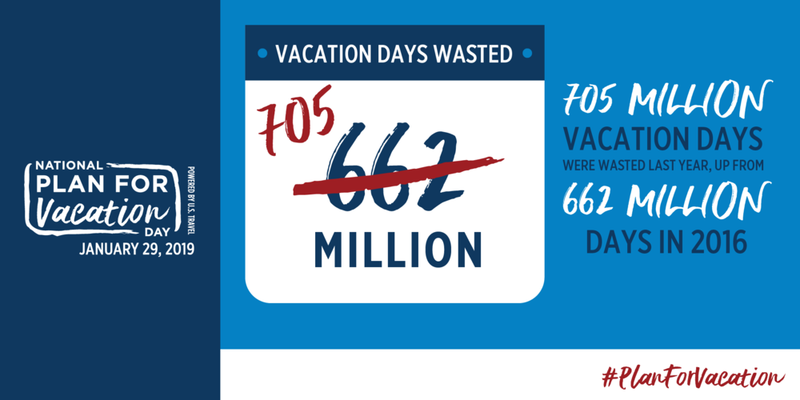 This year, do not allow your vacation days to go unused. Let’s start planning your vacation today! Need some inspiration? Check out the featured experience below or contact us today for a free no-obligation quote to anywhere you want to go.